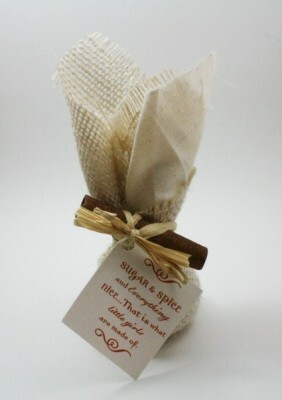 Favor Creative’s eco friendly potpourri favors is designed and handmade by our owner, Stacey. She uses only organic and sustainable spices and/or herbs. Wrapped in muslin and burlap and finished with a cinnamon stick and raffia ribbon of your choice. 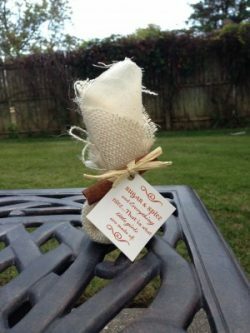 Favor Creative’s beautiful eco friendly potpourri favors are designed and handmade by our owner, Stacey. She uses only organic and sustainable spices and/or herbs. 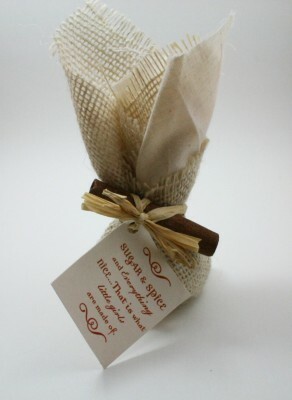 Wrapped in muslin and burlap and finished with a cinnamon stick and raffia ribbon of your choice. Our 100% recycled personalized favor tags are sold separately here. Our spices are from an organic and sustainable spice company located in the USA. Potpourri is a mixture of dried, naturally fragrant plant material, used to provide a gentle natural scent inside buildings, most commonly in residential settings. It is usually placed in a decorative (often wooden) bowl, or tied in small sachet made from sheer fabric. 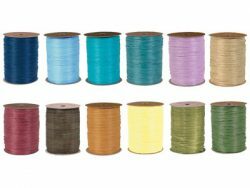 Orders take 2-3 weeks to fill, this does not include shipping time.